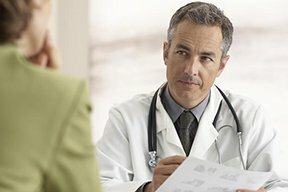 If you know what a Hutchinson’s sign is, perhaps you’re wondering just what is a micro-Hutchinson’s sign and how predictive it is of death by melanoma. 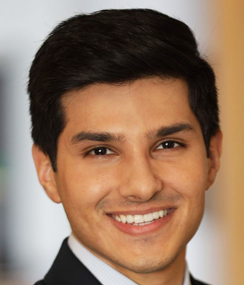 “Micro-Hutchinson’s sign is periungual pigmentation observed with dermascopy, which cannot be appreciated by the naked eye,” says Zain Husain, MD, FAAD, board certified dermatologist and fellowship-trained Mohs micrographic surgeon with New Jersey Dermatology & Aesthetics Center. Micro-Hutchinson’s sign involves the same process as Hutchinson’s sign: expansion or proliferation of cancerous cells into the skin of the nail fold, and sometimes beyond that. When this is detected by magnification via dermatoscope, but not visually with the naked eye, it’s deemed a micro-Hutchinson’s sign. 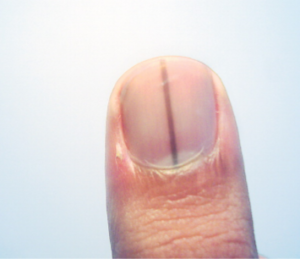 The apparent “spread” of pigment into the cuticle, nail fold and surrounding areas of a nail (the periungual area) is a very worrisome sign – even when it’s detected only upon magnification. 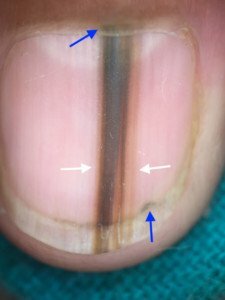 “It correlates with the initial radial growth of melanoma into the nail unit,” says Dr. Husain.